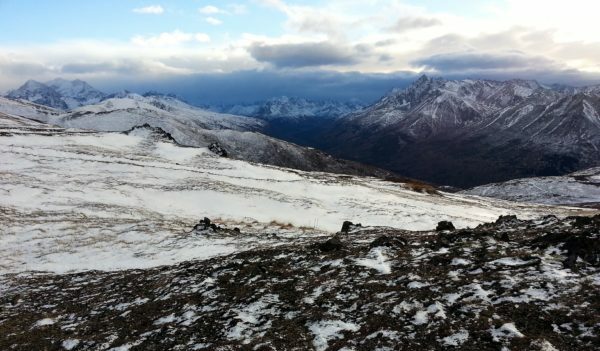 V3 Energy, LLC was contracted by Battelle’s Pacific Northwest National Laboratory in Richland, Washington to measure the wind resource at Site Summit (location of the Cold War Nike Missile radar complex) in the Chugach mountains between Anchorage and Eagle River, near Arctic Valley Ski Area. The project included installation of a 10-meter met tower, wind flow modeling and estimation of energy production from a prospective wind turbine array at the site. The Site Summit area, given its high elevation and excellent exposure to winds channeled down the expansive Ship Creek drainage, is the only viable wind power site location on Joint Base Elmendorf-Richardson.